This year we opened up the opportunity for our customers and potential clients to request an in person ToughTower™. Our tower experts went out across the nation showing off the tower features and showing everyone how to operate our system. Last week we had our final stop in New York, to conclude our 2019 roadshow. 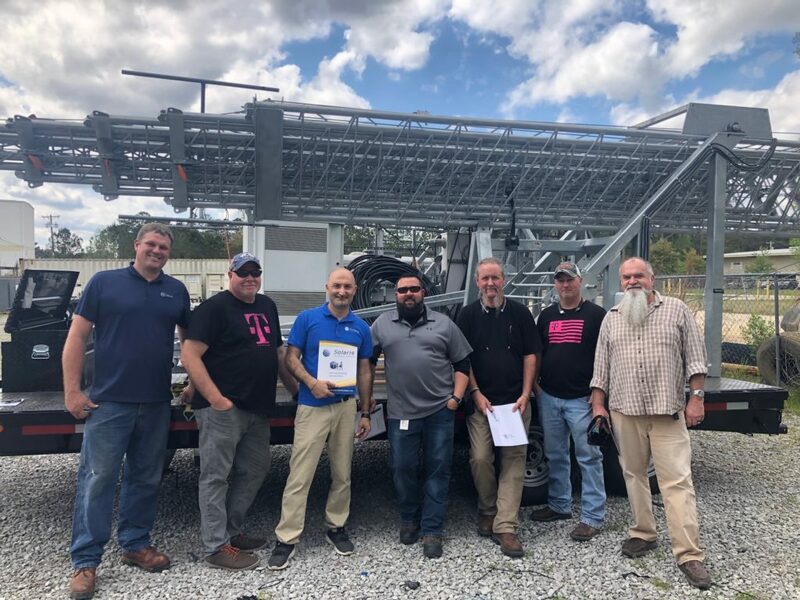 The tower team conducted an on site demonstration of our 106′ ToughTower™ with some potential customers who wanted to learn more about how the unit would preform with over 500lb of equipment and high wind speeds. The 106′ model is our number one selling tower that offers impressive lift capacity of 1,100lb and deploys in under 20 minutes. The tower can be guyed to sustain wind speeds of 110mph. The demo went fabulously and everyone was quite impressed with the towers capabilities. If you didn’t get the chance to take advantage of our 2019 ToughTower™ Roadshow get in touch with our team and we invite you to get in touch with our team and see how we can get you connected!